The prosecution phase begins as soon as police make contact. Shortly after that, the court process for an OVI charge will start with the arraignment. This is an appearance before a judge or magistrate that sets the terms and conditions under which the rest of the case will proceed. While each DUI arraignment has unique elements related to the identity of the OVI suspect and the circumstances of the arrest, each arraignment for a person accused of driving under the influence of alcohol or drugs shares the following five characteristics. Rules set by the Supreme Court of Ohio require city and county courts to arraign DUI/OVI within five days of when they get arrested. If the person remains in custody, this arraignment hearing usually occurs the next day. Extensions on the arraignment deadline can be granted if the suspect is injured or otherwise incapacitated, but unjustified delays in holding an arraignment can be cited as grounds for requesting the dismissal of the drunk or drugged driving charge. The right to legal counsel and representation cannot be denied to anyone placed in police custody at any time. Getting charged with OVI is definitely the time to request to speak with a Columbus DUI lawyer. The court will assign a defense attorney if the suspect does not name his or her own lawyer. No one should ever appear in court before a judge without legal representation. Just having someone who can explain the hearing procedures in detail and offer suggestions on what not to say can prevent serious problems in the moment and at a later full trial. Suspects who go to arraignment with public defenders can hire their own Franklin County DUI lawyer at any time. Attorneys who fail to keep promises or do not work in their client’s best interest can also be replaced at the defendant’s discretion. The main reason for the DUI arraignment is to have the state, represented by the prosecuting attorney, formally charge the DUI/OVI suspect. Part of getting that on record requires the judge to read the actual criminal statute under which the suspect is being charged. The formality of actually reading statutory language verbatim is often waived, but that has to be done with the consent of the suspect or the suspect’s defense lawyer. More than one charge can be made at DUI arraignment. When that happens, the judge will offer to read each. The judge may also ask the prosecutor to discuss in general terms the evidence police have collected to support bringing the charges. No actual testimony or exhibits are made at this time, however. A person who faces only an OVI charge will be assigned an initial trial date that is no later than 90 days after the arraignment unless speedy trial is waived. A drunk or drugged driving conviction carries a jail sentence or order for home arrest, which can only be handed down in a hearing before a judge. 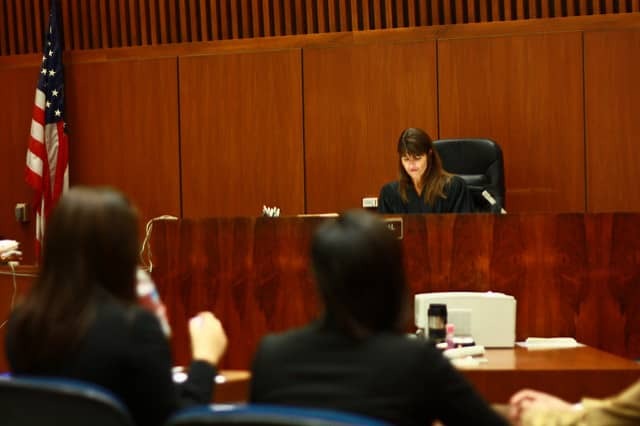 The date of the trial can be moved by mutual agreement between the defense and prosecution, with notice from the court, or in recognition of unforeseen emergencies. The time between DUI arraignment and trial can be used to put together a strong defense, seek dismissal on grounds ranging from improper police procedure to lack of evidence, or negotiate a plea deal. A Columbus DUI arraignment lawyer with The Maher Law Firm represents many drunk and drugged driving defendants for a flat fee. We also offer free case consultations. Request a consultation by calling (614) 205-2208 or by connecting with us online.